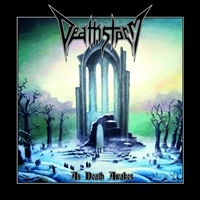 I definitely need a pair of glasses, because I really thought looking at the logo that the bands name is Deathstars, I even saved the file under that name, but no it is DEATHSTORM. I don't have to waste a lot of sentences on this album. It is this young Austrian bands first full length and I think they are born 30 years too late. They play thrash metal in the eighties Sadus, Sodom, Kreator, Morbid Saint tradition and sometimes they add a bit Slayer. The album even has the same old school sound. If you are an old school thrash metal lover, this album is something you'll certainly love.